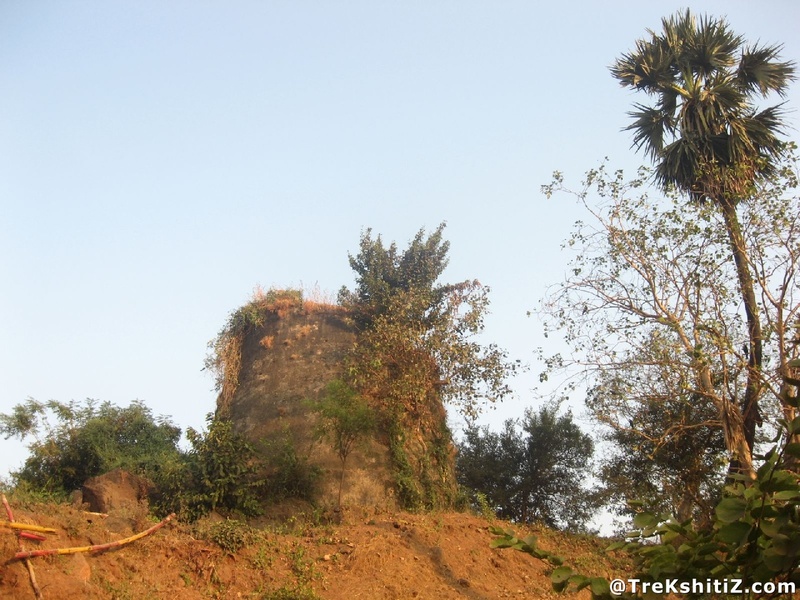 Fort Riwa was built by Britishers after the attack of Siddi of Janjira on Mumbai in 1672 AD. After Siddi�s attack, Britishers constructed chains of new forts around Mumbai. This fort is one of them. The fort is located on a small hill in Sion area in Mumbai. Mahim creek divided the main islands of Mumbai from Saashti Islands. Saashti Island was under the regime of Portugese. In those days trade was carried through the Mahim creek and Saashti islands. The main aim to build this fort was to keep an eye on the trade activities in the Mahim creek and also to protect themselves from the potential threat from Portuguese and Marathas from the north. The fort was built by Jerald Augier in 1672 A.D. The Bastion built in black rock is the only monument on the fort. Alight at Sion station on the Central Mumbai railway. Reach Government Ayurvedic College from Sion East which is a few minutes� walk from the station. In the premises of this college there is a small hill slope where an Ayurvedic botanical garden is maintained. In this garden itself, stands a bastion which is the only monument left of this fort.